Installing a water line does not have to mean tearing up your yard or its fixtures. Many homeowners fear that putting in a water line means tearing out the cement of their patio, sidewalk, or driveway, ruining a beautiful garden or other landscaping, or unearthing swing sets, ponds, or basketball hoops. But a water line doesn’t have to be a debacle that undoes all the careful work you’ve put into your yard. 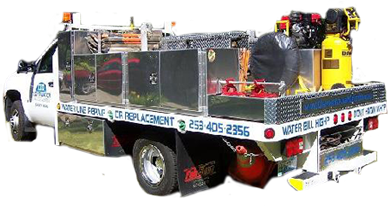 Clearwater Leak Detection offers trenchless pipe installation options that will leave your yard and installations intact. In traditional pipe laying, a trench is dug in a straight line from your water meter to your house, and anything that falls in the area has got to go. With trenchless pipe installation, we dig an entrance pit for our drill to be lowered into the ground, and another for its exit. These pits are called “shots,” and are drilled in low-risk areas like lawn or dirt where you don’t have to worry about damaging any yard features. We are often able to install an entire water line using this method. In other cases we can do a combination of conventional trenched installation and trenchless tunneling. Trenchless Pipe Installation – What Equipment Do We Use? The possibility for trenchless installation is one of the best reasons to hire Clearwater Leak Detection to lay your water line rather than attempting to do it yourself. Trenchless drilling requires professional experience and equipment because it’s impossible to really “see” what you’re doing. We use what’s called a “hole-hawg” to create a clean, compacted tunnel between shots. The hole-hawg is a pneumatic underground piercing tool that can bore for most residential distances between homes. The cylindrical tool compresses air pumped from above ground to propel itself forward and the soil surrounding it is packed and compressed, meaning there isn’t a pile of dirt expelled by the tool. We’ll use the hole hawg to pull the pipe through after the hole created, and because the hole hawg will run horizontally unless it encounters an obstacle, the bed for the pipe is level. If you have extremely rocky soil, the hole hawg is not the best option. If it comes in contact with a rock or other solid underground, the hole-hog can be deflected off its course, meaning it won’t bore a straight tunnel for your pipe to the opposite shot, might head upward into the object being protected, or might head downward to an unretrievable depth. If you need a new water line and you want it done with minimal damage to your property or structures, call us at Clearwater Leak Detection to learn more about our trenchless pipe installation! Most of our inquiries are in the leak detection area. Clearwater does offer a variety of additional services including: backflow assembly, irrigation system maintenance, and pool water testing. 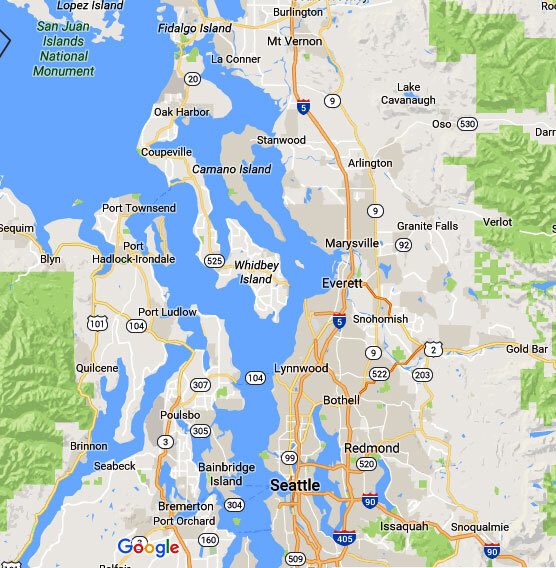 We conveniently service all of Puget Sound. We’re efficient, accurate and swift in our location techniques. Installation, repair and replacement is what we do. Make your utilities work for you!